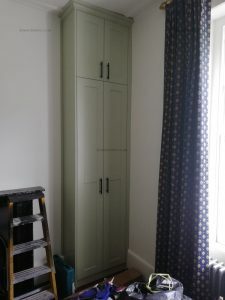 Our custom made Shaker style closet Chelsea has been created for admirers of elegant, sleek and classy style. 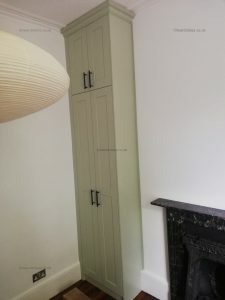 The bespoke traditional hinged door wardrobe would be suitable for any ceiling height including lofts, period properties with high ceilings and even the under-stairs storage. 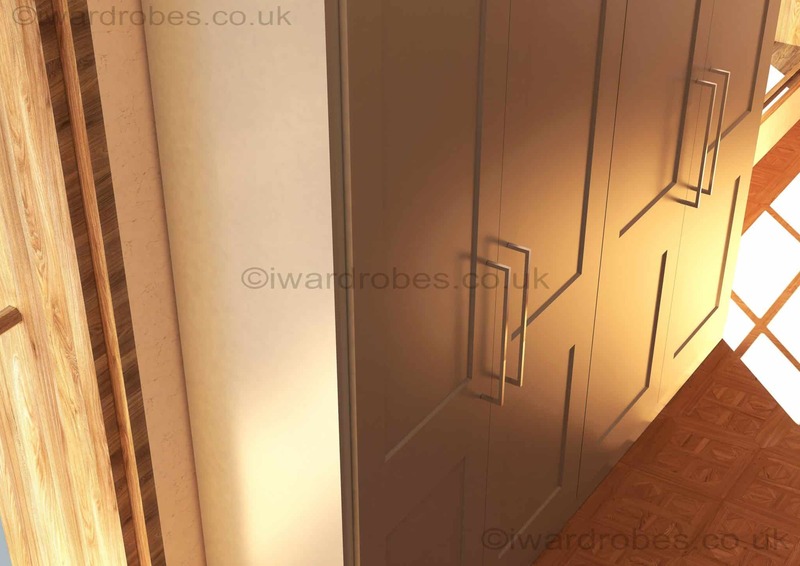 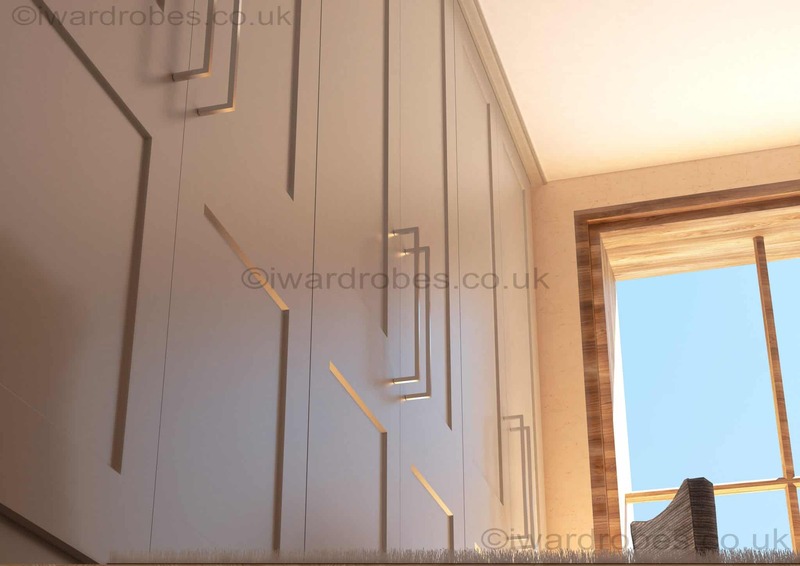 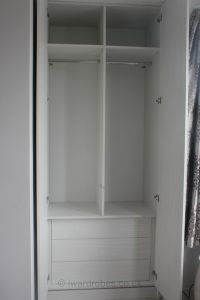 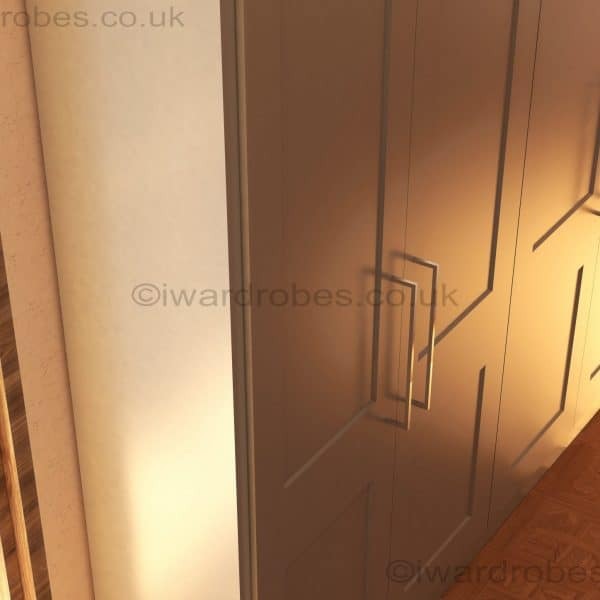 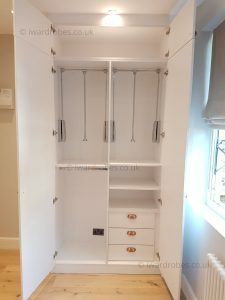 The made-to-measure custom closet is professionally spray-painted to the colour chosen by the customer. 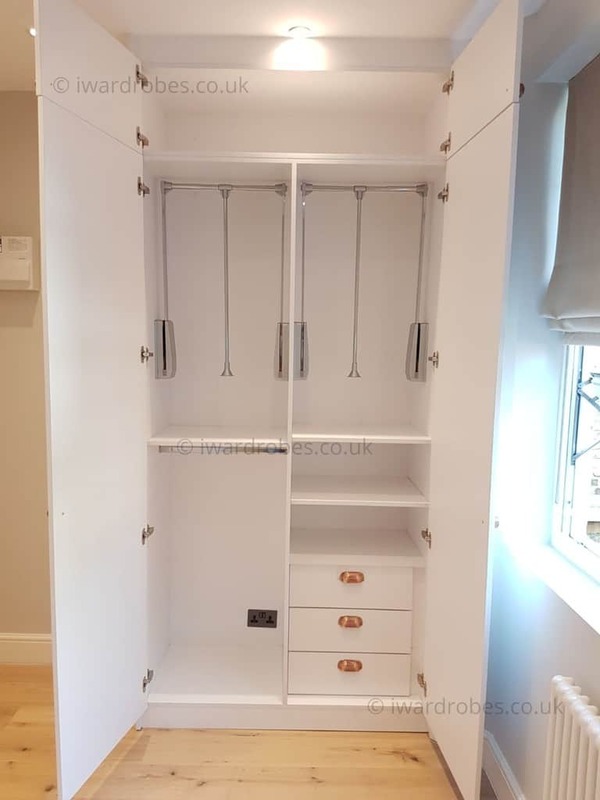 With a wide choice available the Shaker style wardrobe can get a new twist – are you looking for a bespoke fitted nursery storage unit? 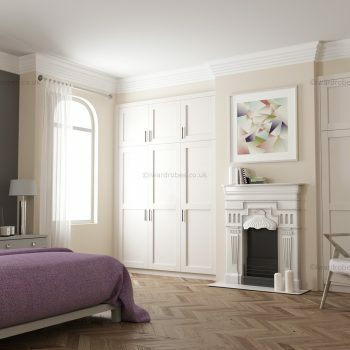 The pink or blue colour could make the classy unit be a great match with the girly room interior or car and dinosaur fan. 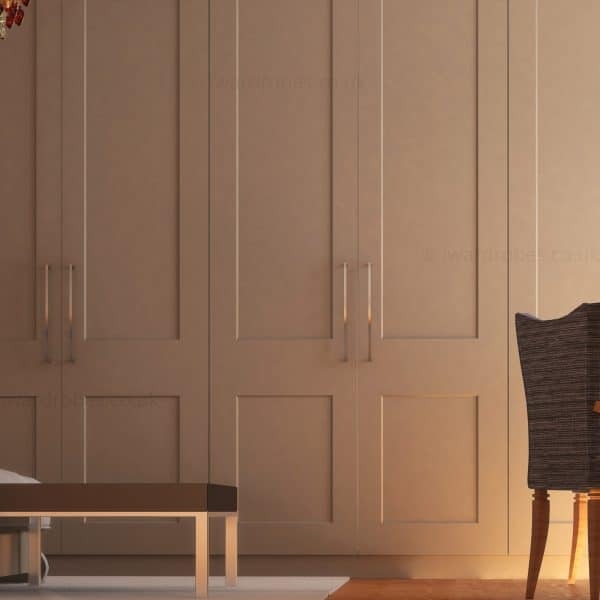 Dark and deep colours could be the choice for the men cave, cream and neutral tones would be great for fitted bedroom wardrobes and bespoke dressing rooms. 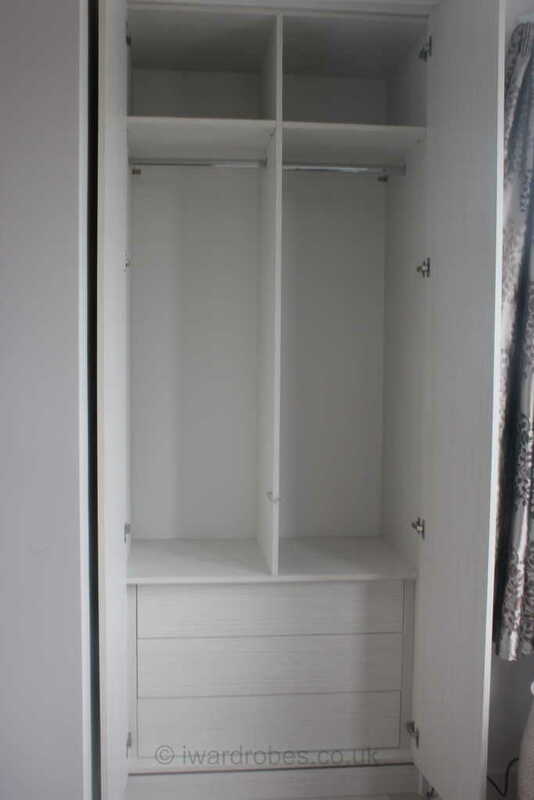 Is this something you liked? 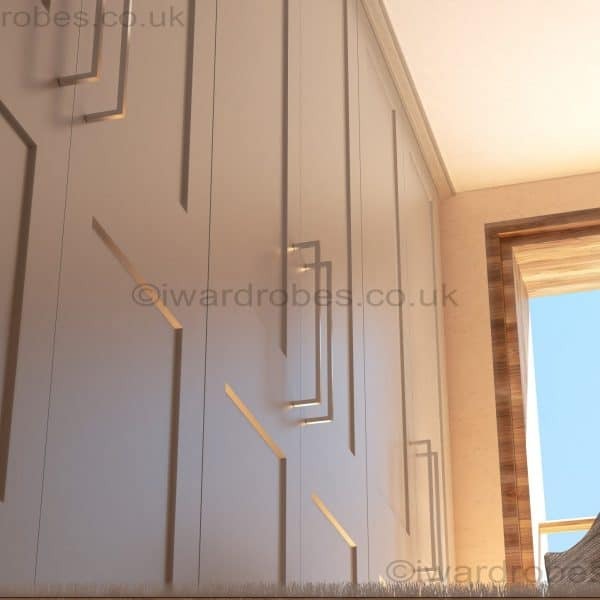 Call us 0203 5610820 or leave your details below and we will come back to you!